Our school had our first ever First Lego League team last year when parent, Greg Brown, lead a team called The Robosharks. He worked tirelessly to get the program started and the team went to the state tournament and won The Strategy and Innovation Award for their solution and robot design. A great showing for a new team. Mr. Brown approached the administration of our school and myself after the tournament with the idea of offering an after-school class for students and parents in an attempt to field more teams. After much work by him, we ended up with 25 students and 3 teams. The Robosharks, Cav Squad, and Programming Piranhas have worked hard since August to get ready for the qualifying tournament on Saturday. The teams have worked hard each Thursday and most Saturdays to solve the missions but also develop their team project and bond as a team. This does not include the countless hours that the parents and teams put in coordinating and supporting their team. I was hesitant to take on the First Lego League teams years ago due to the need for it to be a student run and parent supported structure and not an instructor lead event. I am happy to say that while we have had our ups and downs we have 3 strong teams going into the competition. 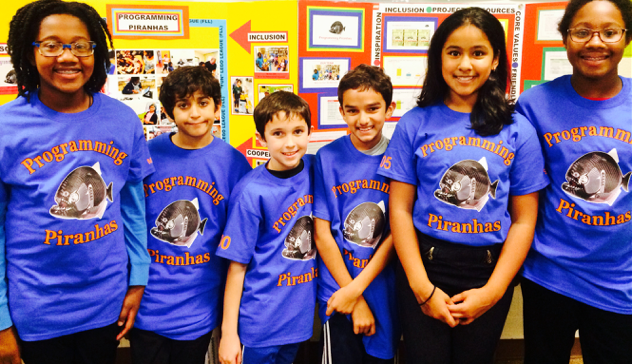 The team of Programming Piranhas in particular have really risen to the challenge. I am sharing a couple images and a practice movie I have of this team below as I think they show what is possible when you put students in charge. 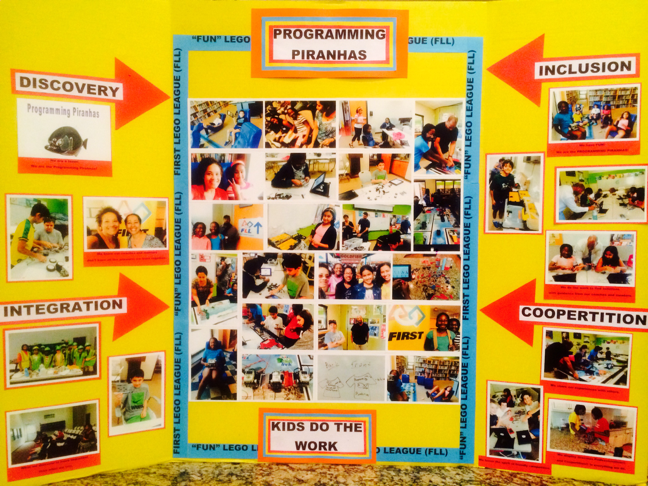 In addition to the teamwork, they have developed an impressive Toy Exchange project that has gained much attention. Read more about that at their Facebook page. Wow! Mr Brown sounds like a good leader. Shreya, He really was a force to be reckoned with as he wanted his sons to have the opportunity so no was not an answer. He also helped start the Upper School Robotics team. Thanks for reading. That’s awesome! I’m glad DA still does FLL. I love the theme.